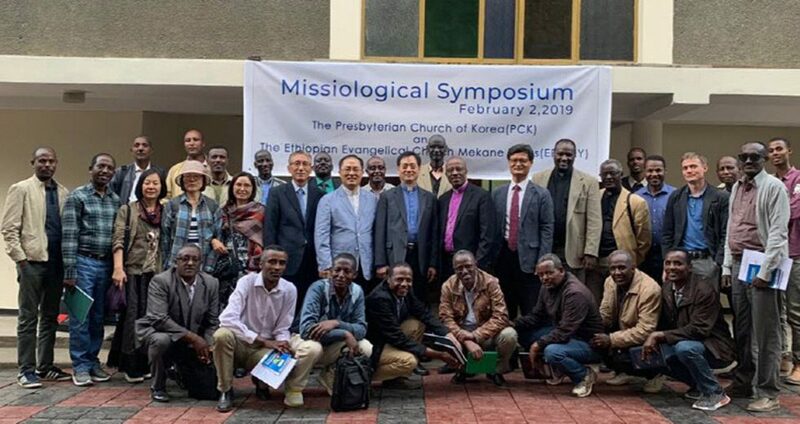 In celebration of the 50th anniversary of the Korean missionary mission to Africa, the Presbyterian Church of Korea and Ethiopian Evangelical Church Mekane Yesus held a symposium in Addis Ababa, signing a memorandum of understanding to continue missional and theological work together. Nancy Smith‐Mather, a missionary from the Reformed Church in America, shares her experiences worshiping with Christians in a South Sudan refugee camp. German pastor Bernd Becker, director of the Protestant Press Association for the province of Westphalia-Lippe in the west of Germany, shares his concern about the far-right in his country. PC(USA) World Mission announced the appointment of Luciano Kovacs as the new area coordinator for the Middle East and Europe. “Luciano’s international ecumenical experience gained through his work with the World Student Christian Federation, and his background in the prophetic witness of the Waldensian Church (our Reformed Church partner in Italy) will be invaluable,” said Phillip Woods, associate director for strategy, program and recruitment. Ecumenism meets Interfaith: Interreligious dialogue brings faith leaders together for conversation and fellowship. On 17 February each year the Waldensians remember the Letters Patenti, a feast of liberties to celebrate the civil and political rights that were granted them in February 1848. For the Waldensian churches it is not so much a religious or civil holiday, in the belief that religious freedom is a freedom for all. The head of the Protestant Church in the Netherlands has praised the faith of a family that took refuge inside a Dutch church and spent over three months there waiting for their asylum request to be granted. Advancing the Gender Justice Agenda: The Uniting Church in Australia’s Emily Evans reports on progress towards a WCC Gender Justice Policy.